In this beginner sculpture class we will be learning to sculpt animals out of clay. Using both additive and subtractive sculpting techniques. Students will learn how to form and manipulate clay in order to create an accurate representation of an animal form. Students will then learn how to prepare their sculptures for firing and how to apply glaze and other methods of decoration. Students leave the course with at least one three dimensional animal sculpture. Students are asked to bring multiple reference images of the animal they wish to sculpt. They can either be pictures found online, or photographs. 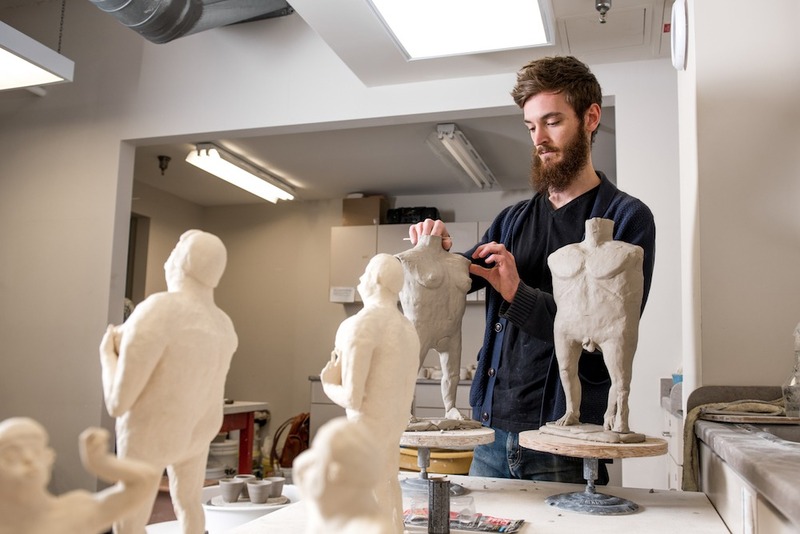 Trevor Novak grew up in Toronto, Ontario and studied ceramics at Sheridan College before coming to NS to complete his studies at NSCAD University. While his work often centres around sculptural forms, you need not worry because Trevor is also accomplished at throwing and hand-building functional pottery. He is currently an artist in residence at the Cape Breton Centre for Craft & Design.